Any Netflix Instant user will tell you that the Netflix search engine is horrid. You can never find exactly what you’re looking for. The browsing capability is even worse. Many movies can only be found after scrolling for an eternity. That’s why services like Moreflicks are handy. The new site not only provides a way to browse and search Netflix that makes more sense, it can also search Hulu, Vudu, BBC iPlayer, Fox and Crackle. It even marks the movies that are expiring soon, so you can be sure to catch those flicks you’ve been thinking of watching before they disappear. Give it a try at Moreflicks.com. Don’t Throw Away That Old Analog TV. Connect a Roku to It! It’s huge, ugly and emits more heat than your furnace. That old analog TV has been sitting there, unused for months. What should you do with it? Most people would give it away or throw it in the trash. I think old analog TVs still have a place in this world though. Especially when devices like the Roku work so well with it. If your old analog TV has composite connectors, the Roku comes with everything you need. Connecting a Roku instantly makes any old analog TV a modern entertainment solution, giving you access to services like Netflix, Amazon and Hulu. Sure the picture isn’t in high definition, but if your TV can do 480i, it’s still a beautiful picture. So find room in your kitchen, office or even your bathroom for that that giant tube that’s just been sitting around. It’s still got some years left. Update: Since I wrote this post, the Roku 3 has since arrived. 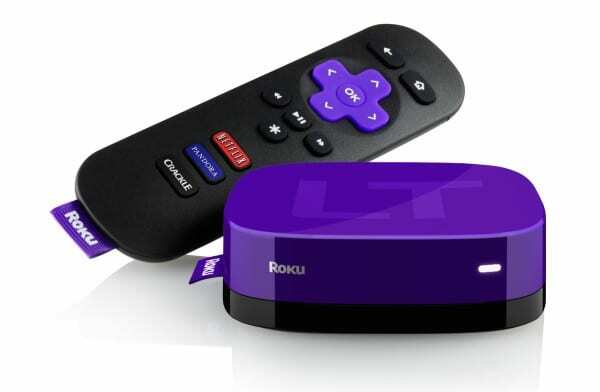 While the Roku 1 and 2 will work with an analog TV, the Roku 3 will not unless you have a converter box. Intel is reportedly looking to enter the cable TV arena by offering a set-top box that works over the Internet. It’s being reported as the service that will stand apart from the rest by offering per-channel subscriptions. Something that consumers have been wanting to do for a long time. Though this story may sound exciting, I’m skeptical. Cable content providers often don’t like offering their networks on a per channel model. They like to bundle multiple channel offerings to cable providers. Because of this, Intel’s service will likely not include many of the networks people will actually want to watch. If you happen to be interested in Intel’s device, don’t get too excited yet. The product won’t hit the market anytime soon. It’s been reported that the device is only in the beta testing phase, and an Intel spokesman has stated that they have no plans to show such a product to the public anytime soon.